The team now begins to install the brake lines and emergency brake cables in the 1965 Chevy Malibu SS restomod. Once this is complete, they can button up the bottom of the classic car. The brake line and emergency brake cables line the underbody of the car, following the frame to be flush with the rest of the collector vehicle. The brake line is now mounted to the frame, exactly where they need it to be. The front brake hoses are next, they distribute fluid from the steel line on the frame to the wheel. 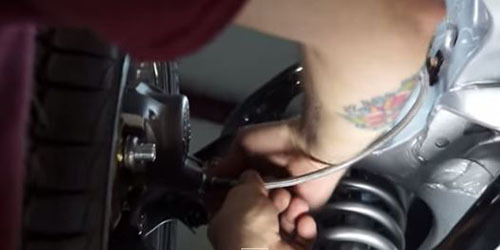 The steel-braided lines are created to be able to move with the suspension and turning of the tires. The next step is to re-install the original pedal assemblies, but this time they will have brand-new bushings to eliminate vibrations. The brake pedal and clutch pedal will then be inserted into the pedal assembly bracket. 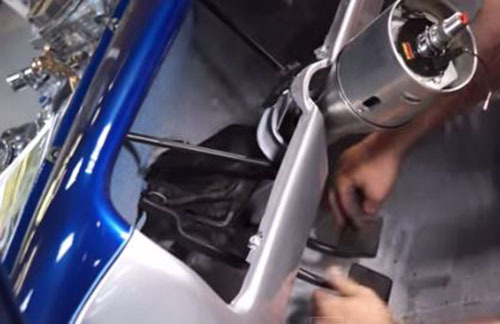 Next, the chrome brake master cylinder will be installed on the firewall, connecting to the brake pedal rod. 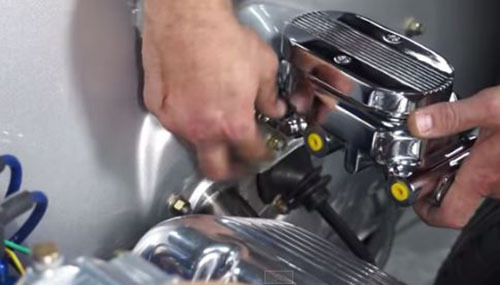 Now that the brake lines and pedals has been re-installed back onto the restomod, watch as The Build team continues to put back together the 1965 Chevy Malibu. Make it a priority to watch the other episodes on our YouTube channel, and follow the progress of our collector vehicle on our Facebook page too!